– meeting the Tarahumara in ’94 at Leadville 100 mile race where they set the course record beating all the american runners. Strides of Fromental I think, but Foulees could equally be fools as it turned out. I did this race on the middle Saturday of my holiday near Limoges. It took a bit of planning as you need a medical certificate to run in France but I thought it would be fun to try a race in a different country. It did cross my mind that it may be a bit warm, but I thought the 6.30pm start (5.30 UK time) would mean it would be a little cooler. What I (and indeed the locals) didn’t anticipate was that race day would be one of the hottest days of the year. I was nearly spared the race as I forgot to take the medical certificate to the race, so had to act a bit dim (quite easy being English in France), so a quick Gallic shrug from the organiser and I was in. It was 32 degrees at the start (Celsius to be clear), and a touch of cloud in the early evening only served to make it more humid and keep the temperature the same. After a brief warm-up which had me pouring with sweat already it was time to go on the first of two 5k laps. The organisers did their best to ensure we had enough fluid with cups and sponges of water every km, and even a power washer on the start/finish line acting as an Olympic marathon style rain curtain, but they could do nothing about the heat and lack of oxygen. After only a couple of km I was puffing hard but it seemed to make no difference – my temperature was rising rapidly and I could do nothing about my oxygen deficit. The first 3k of each lap were also uphill, though I’m not sure that actually made any difference. In the final km of the first lap I was struggling badly, and already two locals had thrown in the towel and were staggering back to a soon-to-be-busy race hq. 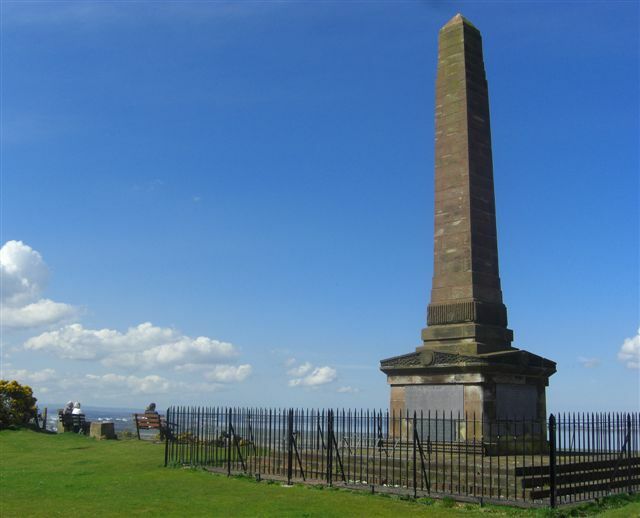 The first lap took me close to 24 minutes, and the thought of stopping did cross my mind, but I ploughed on – for Queen and country and all that! The second lap started in the same vein as the first, uphill and me struggling like, well, an idiot Englishman trying to race in France. I managed to find a bit more of an even rhythm in the second lap, but it was still really attritional stuff, and a real battle to keep going. In the final 2k I managed to peg a few people back, and finished in 47m46s, absolutely drained from the effort. 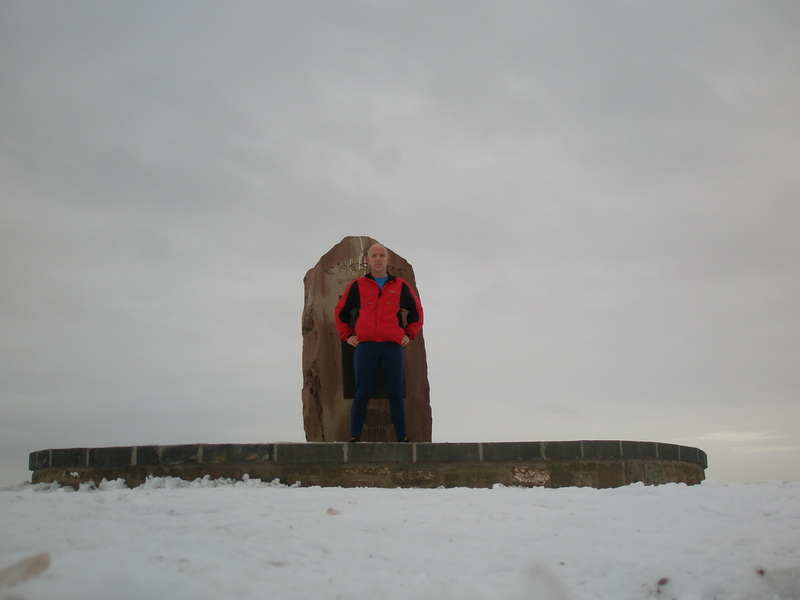 In terms of difficulty it truly ranked alongside the Edale Skyline or the full Sandstone Trail. The Race HQ had now been turned into pretty much a field hospital. An extra ambulance arrived to treat people evidently suffering with heatstroke. I counted six (out of less than 100 starters) being treated when I went in, one guy requiring oxygen. An old man had also collapsed outside just from spectating. 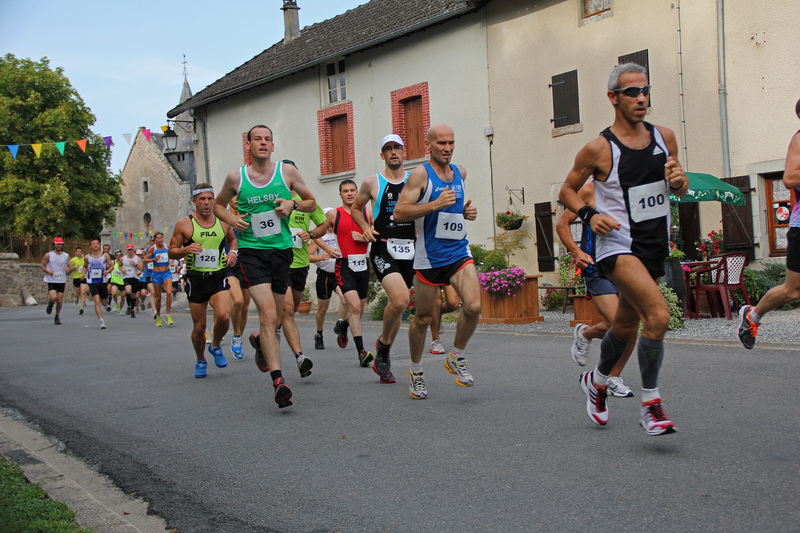 It was an experience running in France, but a really, really tough one. An hour after the race it was still 28 degrees. Think carefully if you ever find the thought crossing your mind. And the differences to a race in the UK? Unsurprisingly the whole community comes out to cheer you on, the blind athlete got a head start, and they re-use the race numbers (complete with stains!). After a Friday evening sat around the fire keeping warm at Cae Du (a gem of a camp site overlooking the sea, recommended by Jane) and a lesuirely morning dolphin and seal spotting from the campsite, we were all raring to go waiting for the 2:05 Taly-Lynn train to raise its head of steam and hoot, to start the race to Abergynolwyn and back. 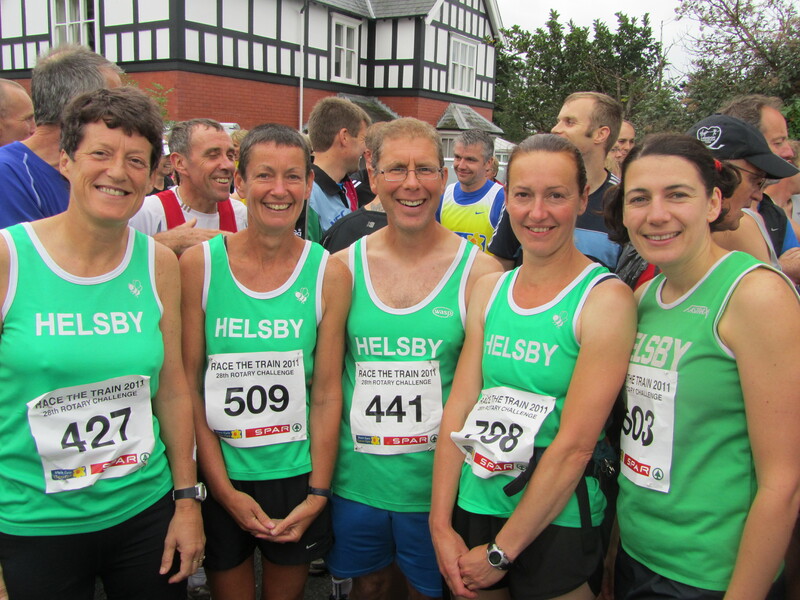 The usual weather and running conditions awaited us….mist, rain, wind and a very muddy course. 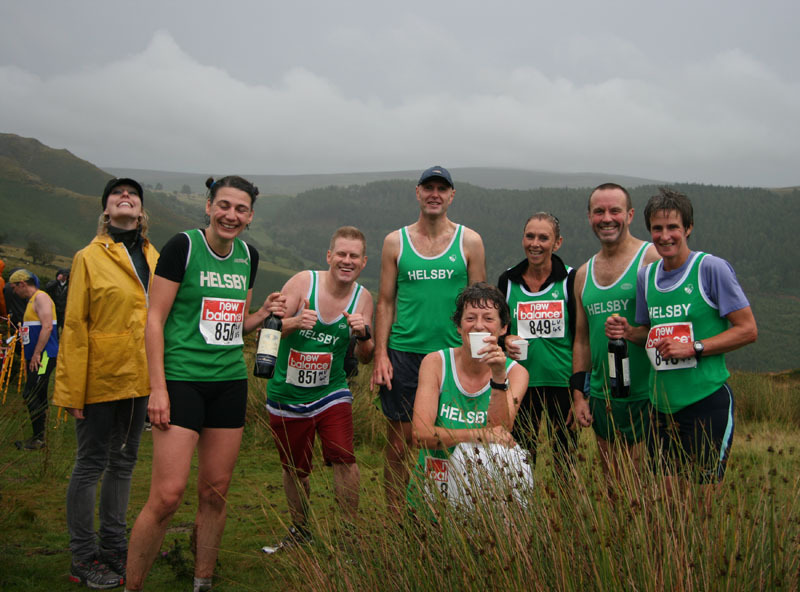 It’s the 6th consecutive year I’ve done this race; its always the 3rd Sat in August, it always rains and the course is always calf deep in mud (at one point in particular). It’s every bit as good as Hell Runner! Train took 1:47:48 secs, the winner Andrew Hunt from Cardiff AC, 1:21:31 (not quite the course record of 1:18:15). 181 runners beat the train. Jane only just missed out with a time of 1:50:42, claiming the 3rd Lady V35 prize for the 2nd year running. Dave and Janet had a close fought battle at the end and Jackie had hers before it started (falling of bike on way to start!). + well done to Charlie Ashbrook for competing in the kiddies fun run, ably assisted by Chris. Another pleasant evening sat around the fire followed thanks to Robert (Janet’s son) co-ordinating the firewood collection earlier on in the day and Lesley providing the marshmallows. A few glasses of wine had by all before retiring to Dave and Lesley’s Gazebo as the rain set in. The mesh sides just meant it turned into a shower as the wind blew the rain in! Mind you we all needed another one following our attempts after the race to shower/de-mud in Towyn Rugby Club, the combination of lots of muddy runners and a trickle of water made Helsby Community Sports Club facilities look pretty good!! 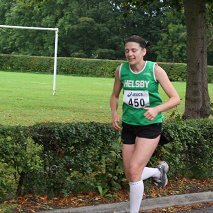 Results from the Warford 10 mile race can be found on the attached link. 5 green vests toed the line for this 3 lap course which finishes in the grounds of the David Lewis centre in Great Warford. A nice breeze helped to keep the temperature down on what otherwise might have been a hot day. Performance of the day has to go to Jane Ashbrook who not only finished inside 70 minutes but also took home the prize for 2nd lady. Jane together with Alison Meakin and Nesta Hawker also came 3rd in the ladies team event. The trail becomes some fields at the top and after quickly going round the marshall is the same route back, so a couple of miles of downhill running really gives the legs a good stretch. 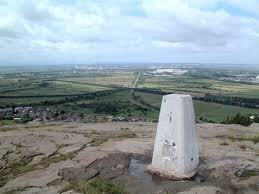 The climb then back to the finish is survivable knowing the drink and food that follows. 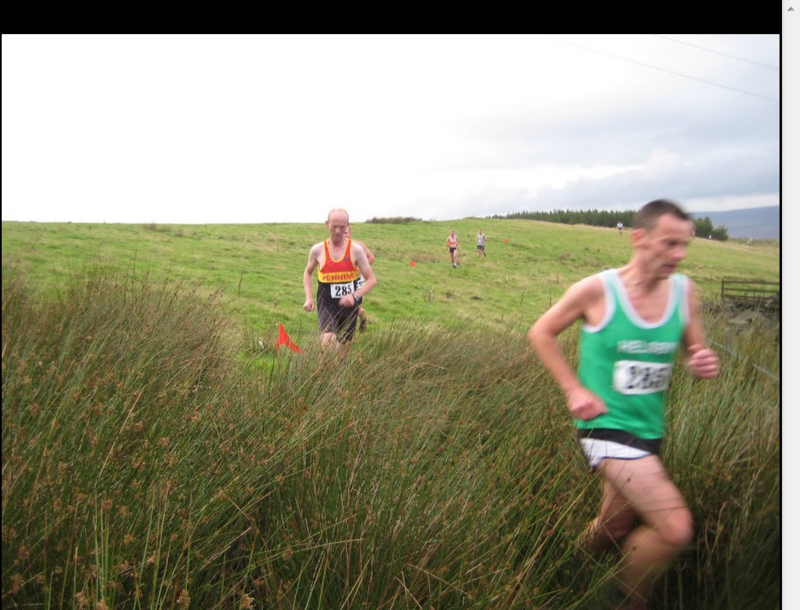 Please also note Gareth’s brilliant performance on what was his first fell race!